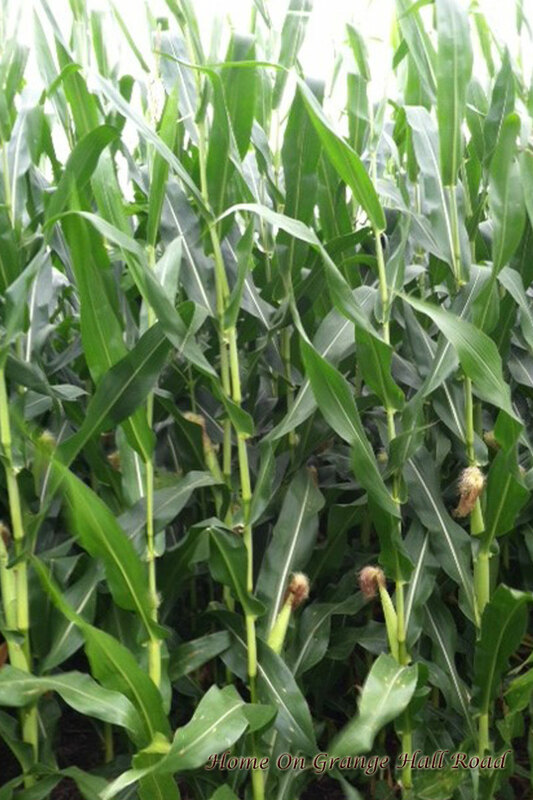 Ears are developing on the corn. The stalks are very tall!!! 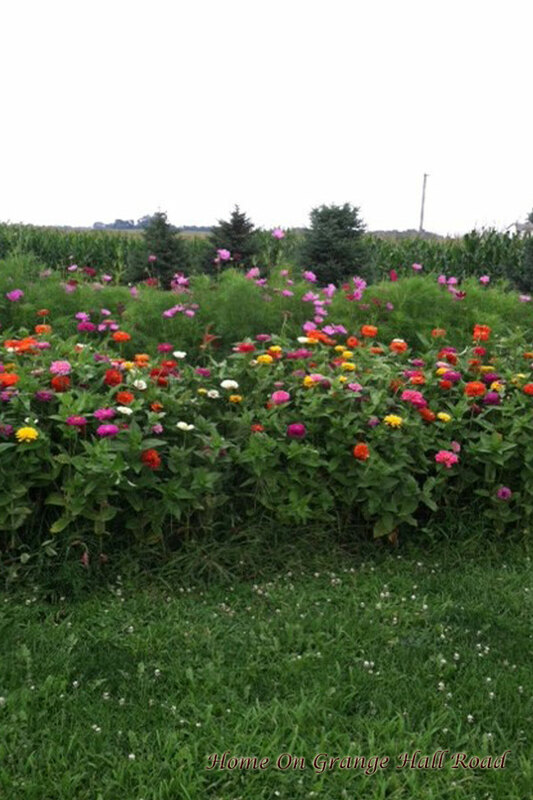 The zinnias and the cosmos are thick and also very tall! 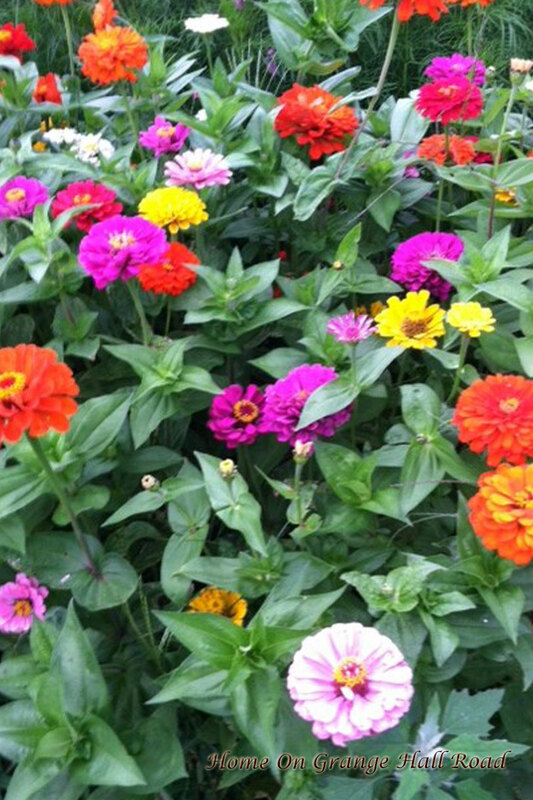 Zinnias – my favorite cutting flower. You can never plant too many zinnias. Each flower is so different and beautiful. 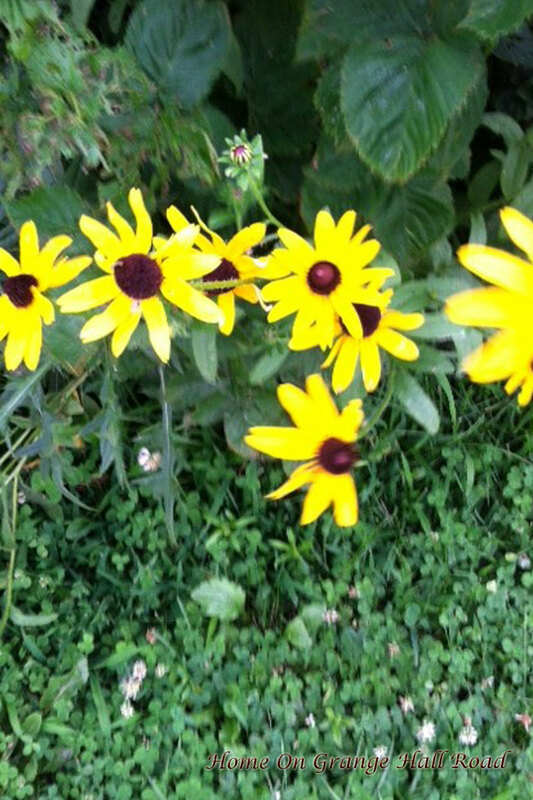 Beautiful Black-eyed Susans growing wild along the berry patch. 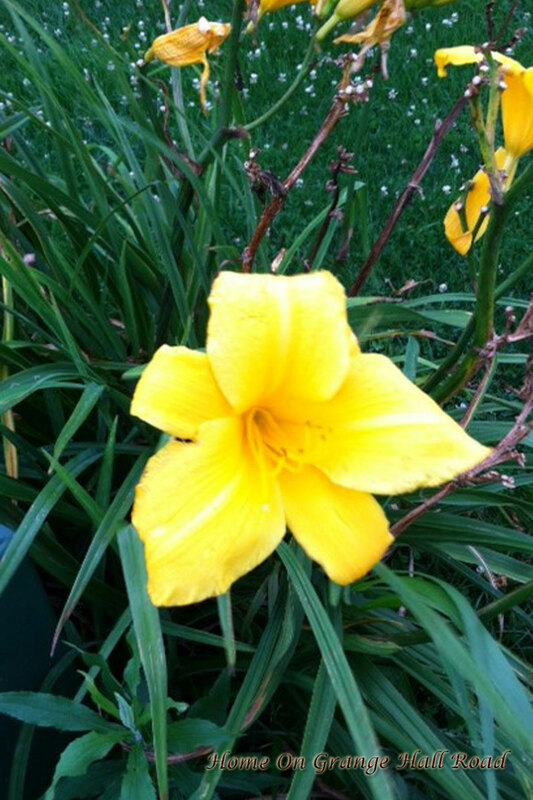 Yellow daylilies in the backyard. 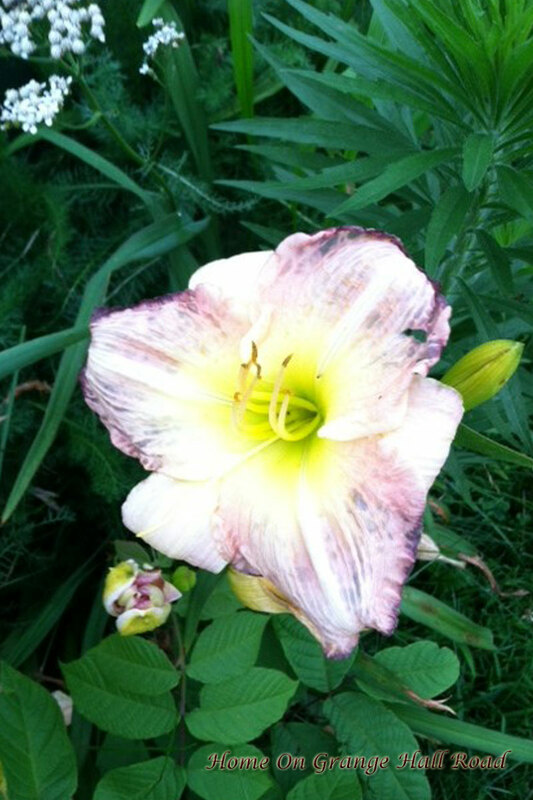 Purple and white daylilies along the front porch. An old copper boiler with a variety of plants. 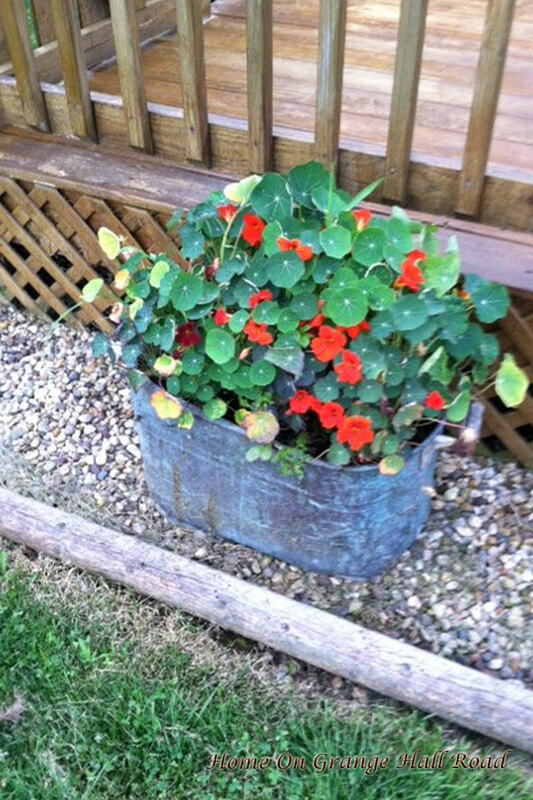 Another copper boiler planter. Both copper boilers are along the back deck. 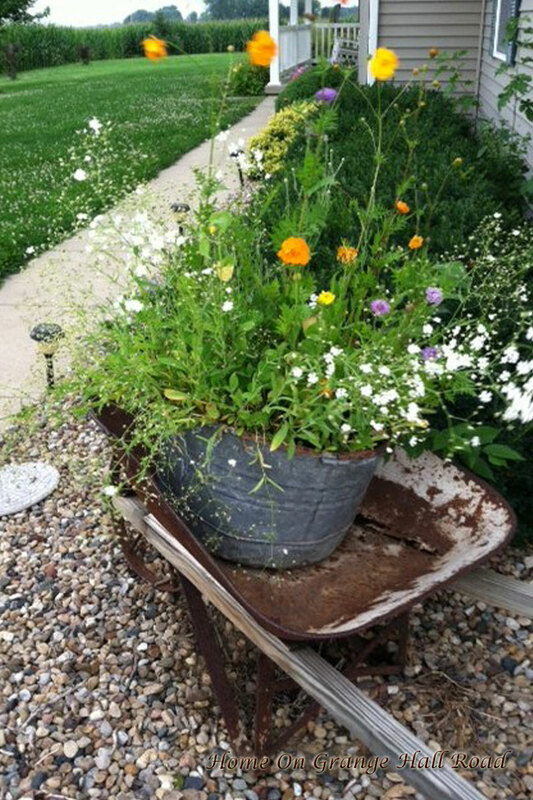 The old wheelbarrow with the galvanized tub planter at the front corner of the house. 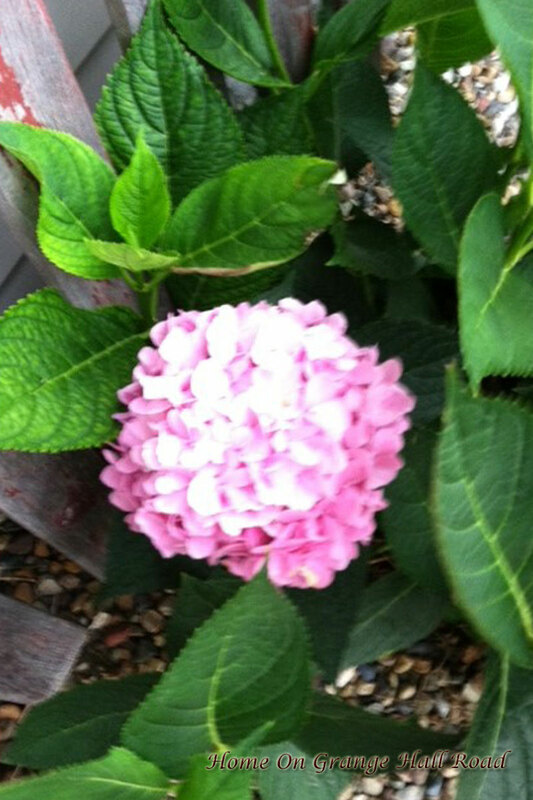 The hydrangea plants along the front of the house have never looked so spectacular! These are tomato plants. 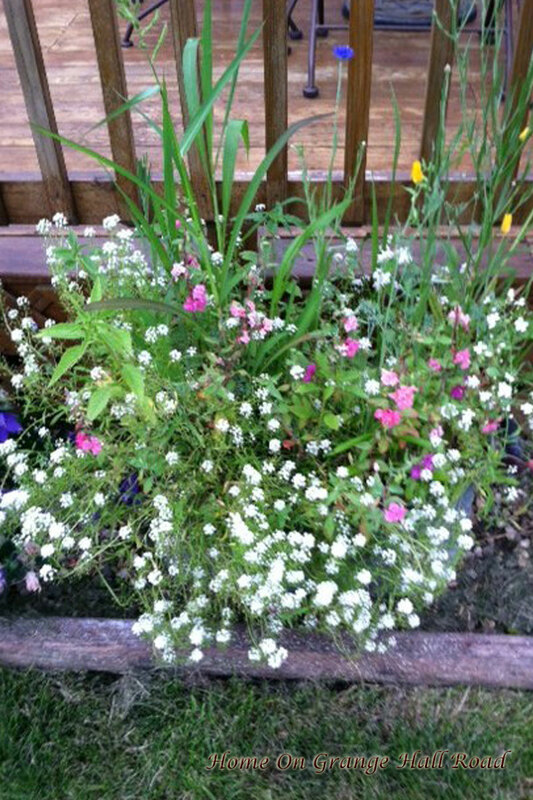 They are growing in wire baskets and are over 5 feet tall! They are loaded with green tomatoes. 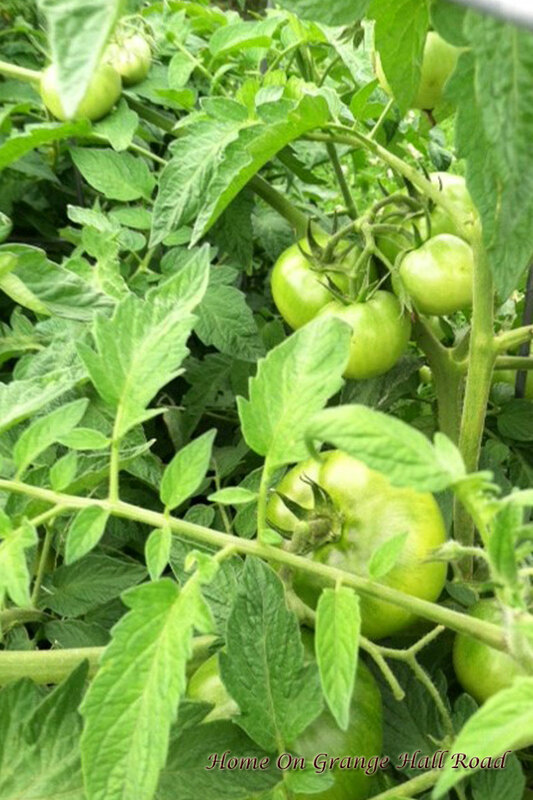 We are going to have lots of tomatoes when they start ripening. 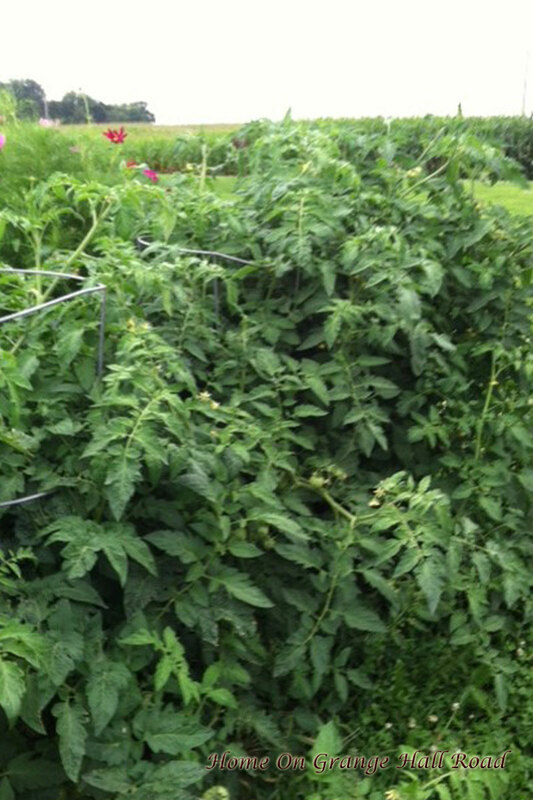 Keeping the plants up off of the saturated ground has helped prevent insect infestation and tomato blight. I love to walk around the farm in the evenings. It is the perfect way to relax and get some much needed exercise after a day at work. Thanks so much for stopping by. Take care and please visit again.